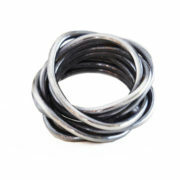 The Wrap Ring is available in two weights, the heavy wrap ring is made from 2mm round wire and roughly between 8 -10 wraps with an overall height of around 10mm. 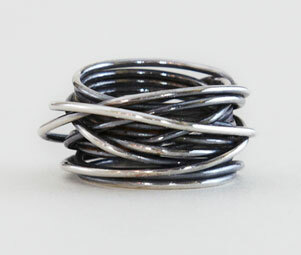 The smaller wrap ring is also made from 2mm round wire and is usually around 4 – 6 wraps with an overall height or around 6mm. 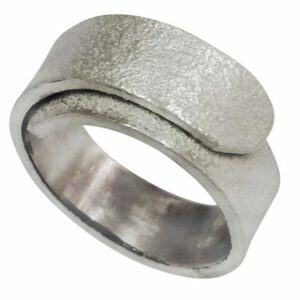 My Wrap Rings designs have a choice of widths & finishes. Firstly tell me your ring size, select it from the drop down menu, if you don’t know it I can send you a free ring sizer (to be returned please) or you can go into any high street jewellers and have your finger measured for free. Then choose which finish you would like, a polished finish is bright and shiny or an oxidised finish is which is blackened. Next choose which height of Wrap Ring you would like. The height is the hand knuckle to finger knuckle distance. 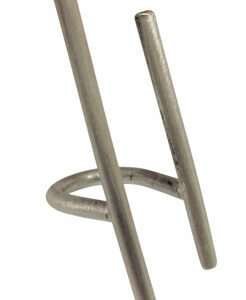 The light wrap ring is made from 2mm round wire and is usually around 4 – 6 wraps with an overall height or around 6mm. 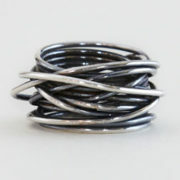 The heavy wrap ring is made from 2mm round wire and roughly between 8 -10 wraps with an overall height of around 10mm. 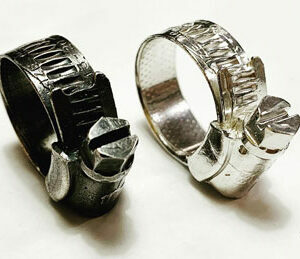 This images are only an example, your exact Hammered Ring order will be taken from the drop down menus. All the Wrap Ring designs can be made in gold (white gold, red gold or yellow gold) palladium & platinum too, email me for more details and prices on these. 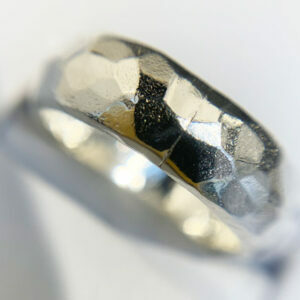 As with all my work, the Wrap Rings will arrive in a gift box with free UK delivery. I’ve had couple of these rings because I keep losing mine. They are all individual and I like that about them. Never been disappointed shopping at Colette’s studio. Take more care! Although I’m not complaining.